First day I got Yuffie. After a horrible experience with my first puppy. I got Diesel. He is an amazing dog. Very loving and playful. 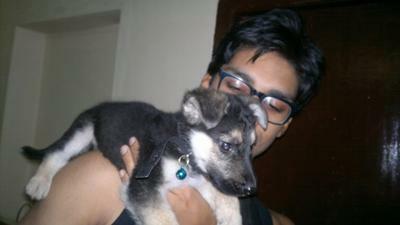 I felt he was getting lonely so one day I got my other dog Yufie. They are both growing up to be amazing dogs. Diesel has a submissive/excitement peeing problem that is very severe but I still love him to death and Yuffie is just plain naughty but she is also plain adorable! Asad, they are absolutely adorable. I wish you loads of good luck with both of them. 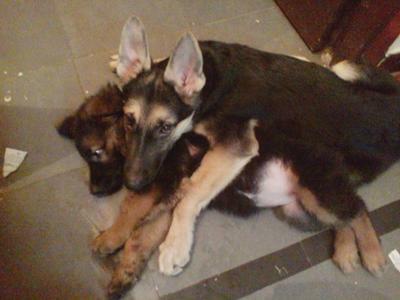 You have two really adorable German Shepherd puppies there. And send us some more pictures later on if you have the chance! Comments for The light of my life. 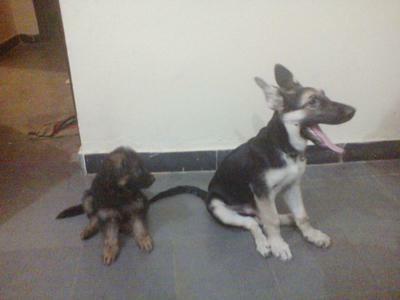 My German Shepherds Yuffie and Diesel! How great is to have 2 GSD pups. You have "double the pleasure". Lucky! 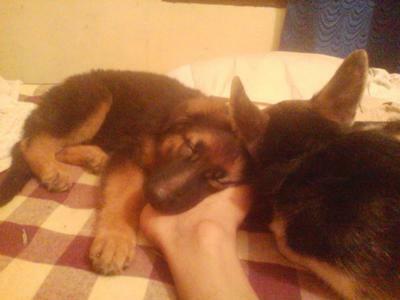 The 2 pups look amazing and they are both beautiful, with big ears and big paws. God bless them both. Take care of your pups and they will take care of you.